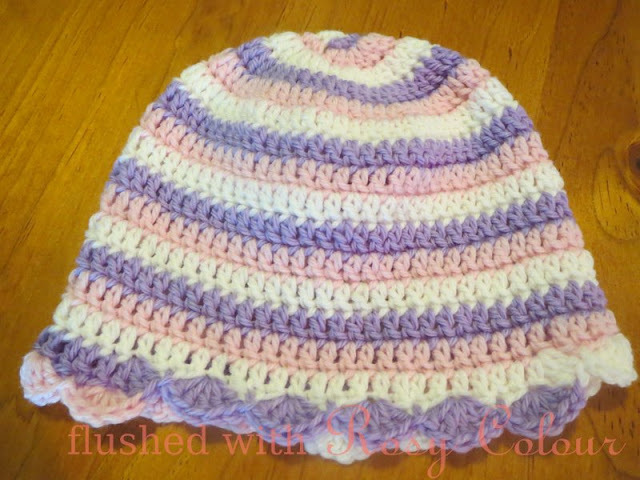 Its been quite a while since I've blogged about some crochet, that's because I've been in 'bit of a phase' with it, having not been feeling like doing it. Issues with my camera have not helped either, which has been very frustrating and a bit depressing. 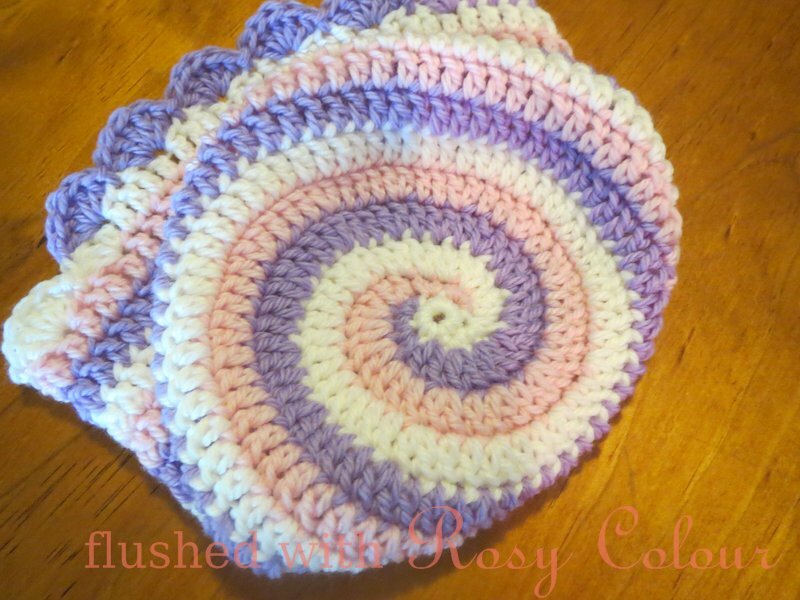 But here are two toddler sized spiral hats I've managed to finish, these are like the spiral hat in leaf, lavender and lotus I made back in May. Its my own design, I hope one day to be able to write the pattern down. 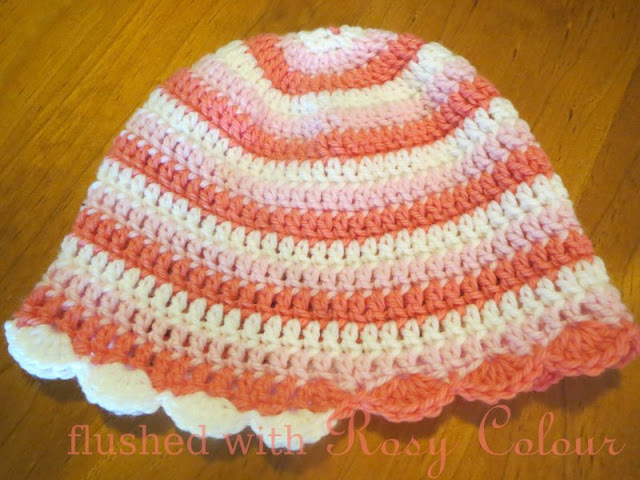 It looks like a striped hat but is in fact a spiral at the crown, which is very tricky to do. I don't know how I'm going to be able to explain how I do it, a photo tutorial will be essential. For these I used luxury wool from Bendigo and a 4mm hook.